• 340 litre Aluminium fuel tank. • 12 speed TraXon Automatic Gearbox. 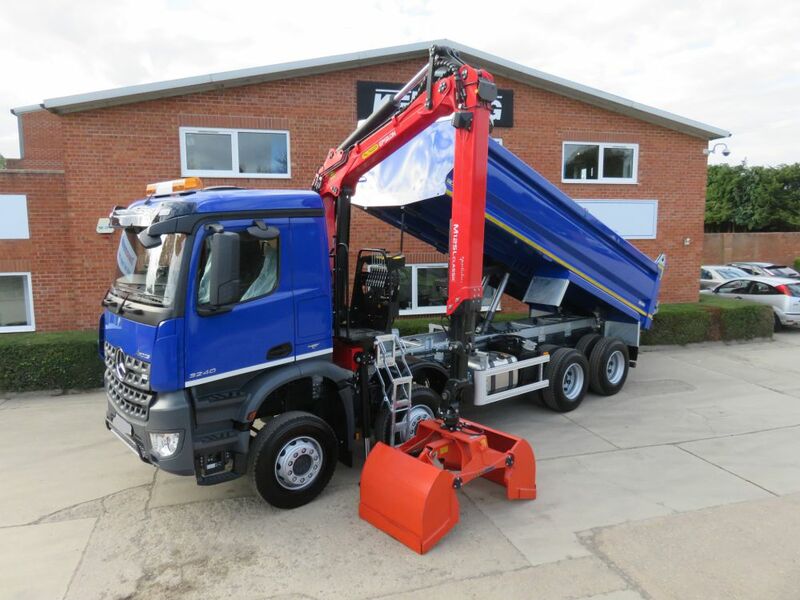 • Double driven tandem axles type HR1670T with HUB REDUCTION. • Air suspended drivers seat. • Air con & sun visor. • Daytime running lights with four LED's at each side, integrated in the head light units. • Dual stand up controls. • Edbro TS26 tipping gear. 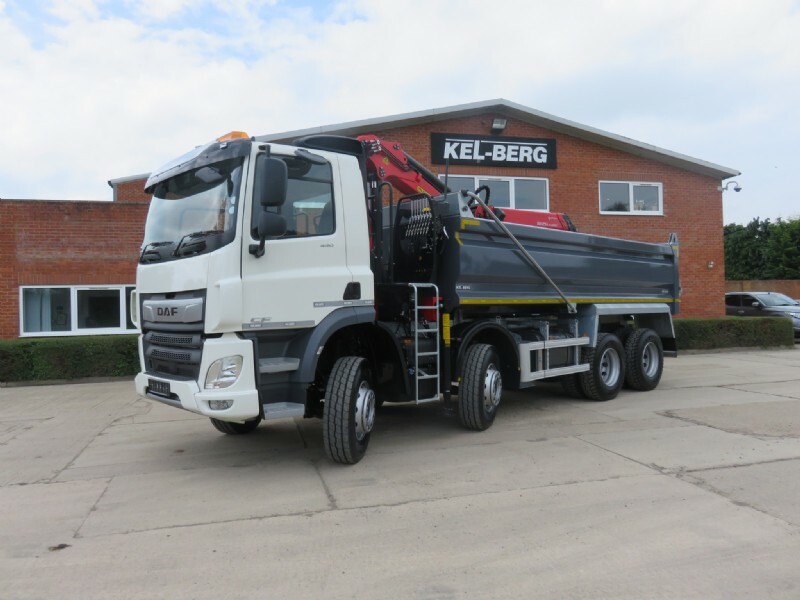 • Optional extras; beacon bar, reversing camers, sheeting system. 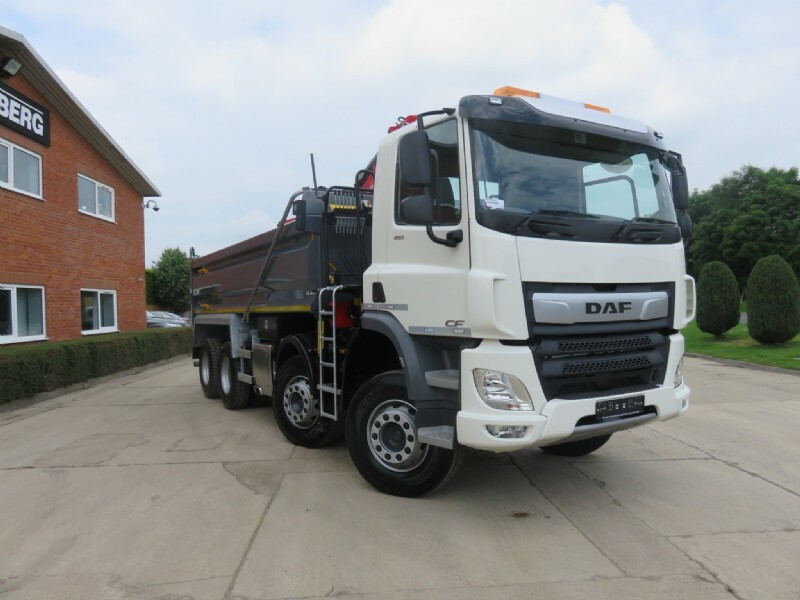 New DAF CF370 FAT 6x4 day cab, grab loader, Kel-Berg body, Epsilon M125 crane. 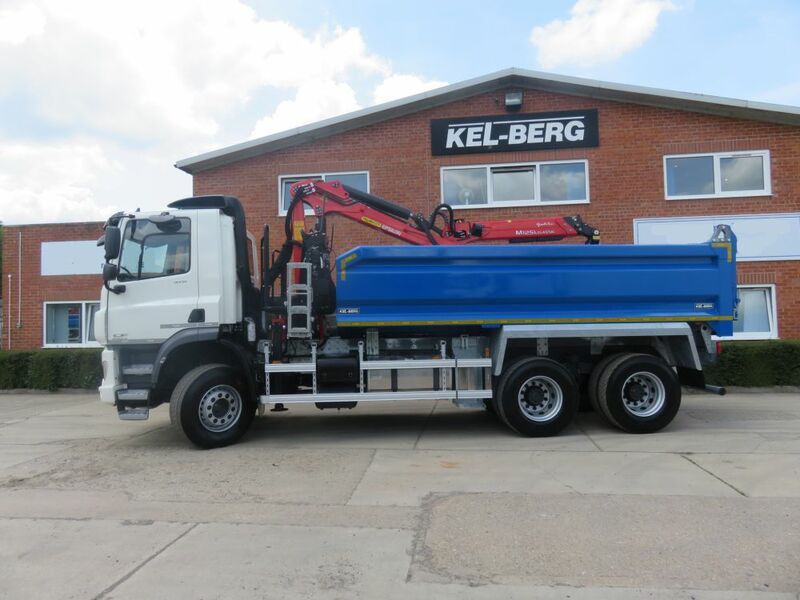 Epsilon M125 LC68 classic crane with 500L Kinshoffer bucket. Galvanised sub frame and rear crucifix. Single skin 450 Hardox body, 4mm sides and 5mm floor. Optional extras; beacons, camera systems, sheets, weigh systems and many more.